Styled with graham pant and xavier blazer . This version of the Sian is tailored with 100% virgin wool — selected for its warmth and softness — from a premier Italian mill. An ultra-thin vegan suede interlining sewn into the back protects you from wind and cold without added bulk. Great Jacket. Nice and with enough room. 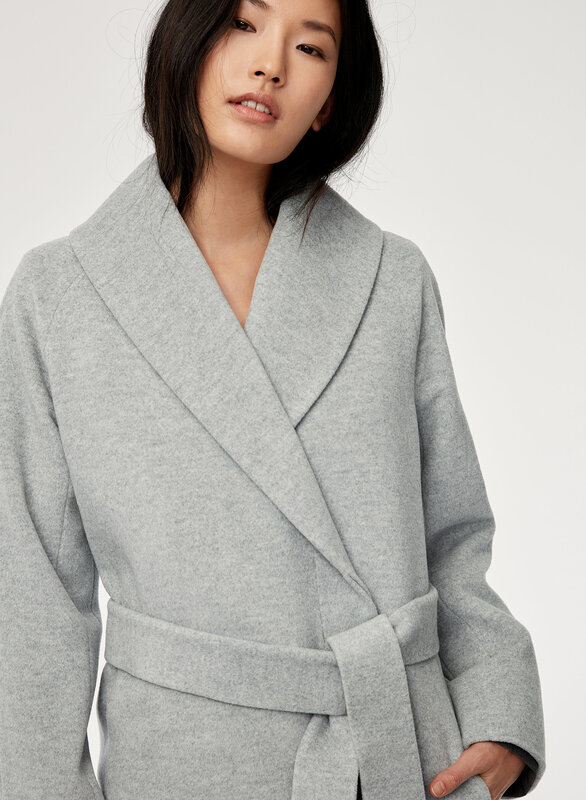 Aritzia needs to continue making clothes like the Sian Jacket which can accommodate the average person in a flattering way. 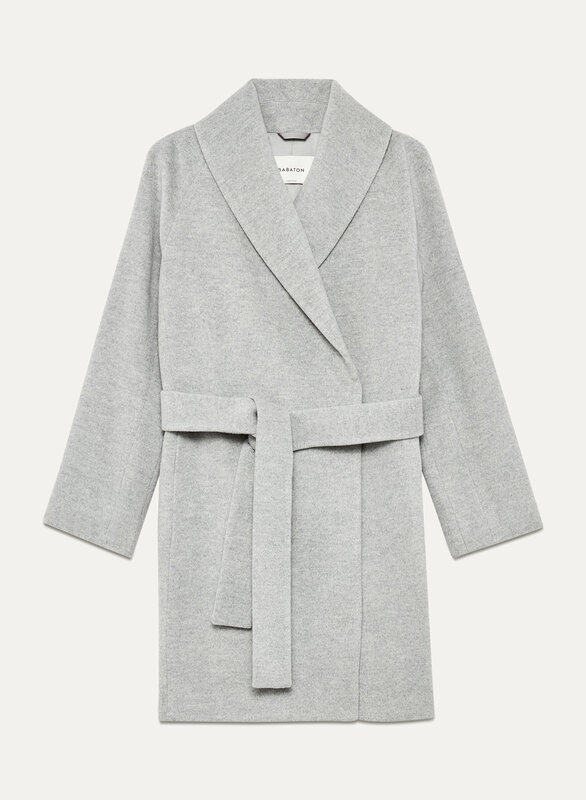 Pros: very cute, works with a lot of outfits/styles, and extremely warm.Cons: looks like a robe sometimes, collects dust and needs to be lint rolled out. I kind of want this in every colour. It’s very chic casual, but you can dress it up. Definitely fits large, I had to exchange for a smaller size. Would recommend! I wish I could give this coat 100000 stars, but I had to go down to 3 only because one of the buttons fell off after wearing it ONCE. However, the coat itself is SO cute, SO warm, and I'm so obsessed with it. The perfect wrap coat! I've been wanting one for so long and this is exactly what I was searching for. Love it!!! Just a little disappointed with the quality, since it literally took one, 2-hour wear, for a button to fall off. Very warm, with a roomy fit. I purchased the black version and find it collect lint like crazy, I carry a lint roller with me when I wear it. The pockets have a single stitch anchored to the inner coat fabric, and I ripped both the first day wearing it out. If you like having you hands in your pockets, be gentle. Warm and fashionable! I usually wear S or M for a coat. This Small size fits well! also, I got a black colour. easy to match with any clothes. I love the coat, I bought in the flirt color.The one thing I noticed is that the coat seems to be shedding a bit. Is this normal? When I wear the scarf I purchased from Aritzia as well it does to then as well.Is there anything I can do with that? The belt loops became loose and one almost fell off with minimum wear. This may have been a fluke but I would not recommend. Really enjoy this coat it does run large so make sure you size down one to two sizes. The only downside is I find the cuffs very loose and often my wrists get cold because of it. Would be my favourite coat if there ribbed cuffs within the sleeves. Love it! Keeps me warm even when it's brutally cold out. I got both XXS and XS just to try out after reading the reviews. I have to say it runs LARGE, even the XXS fit little loose on me, highly recommend size down if you are interested.The quality is awesome. The material is super soft and comfy. I got mine during the sale and it totally worth the price. The quality of this coat is worth its price. Soft and very warm, could be worn in 30 degree weather. However the fit was just too loose for a petite like me. The xxs looked like a bathrobe. Perfect jacket warm but light enough to wear. 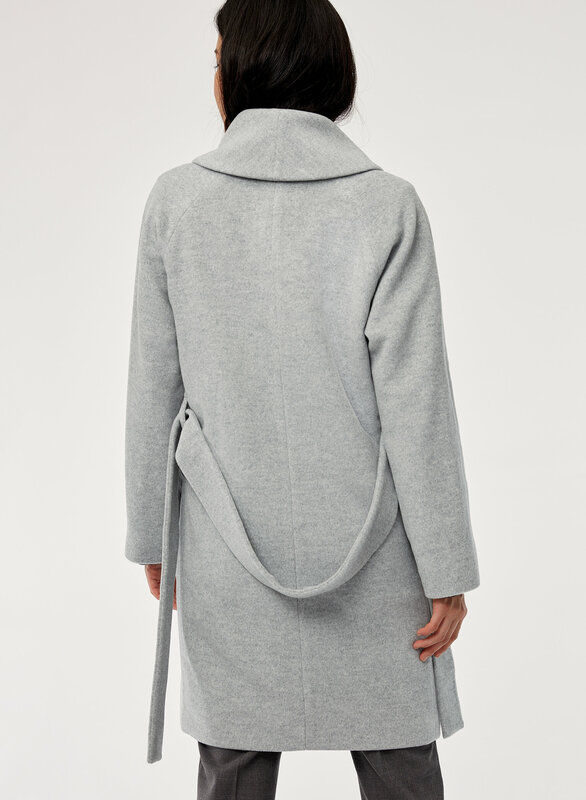 Can't recommend this coat enough perfect color gray as well!